The Learning Alliance is a small, grass roots organization. Having a fund at the Community Foundation frees our volunteers and staff to concentrate on the work at hand. The Community Foundation also gives our donors confidence their philanthropic contributions are being managed wisely and used as intended. 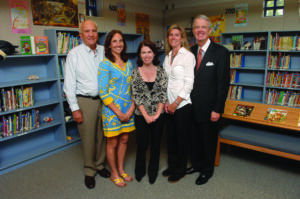 Established in 2009 and eager to move forward with their mission, the founders of The Learning Alliance requested assistance from the Indian River Community Foundation to accept charitable donations while they went through the lengthy process of receiving a 501c3 public charity designation from the IRS. Barbara Hammond, acting executive director and one of the three founders, said they expected to operate independently once they received IRS approval, however the professional support from the Community Foundation has been so valuable at a nominal cost, the Board of Directors plan to continue the arrangement for the foreseeable future.